Delicious and super easy guacamole. Complements a side of crispy wheat tortillas. Only 5 ingredients. 1. 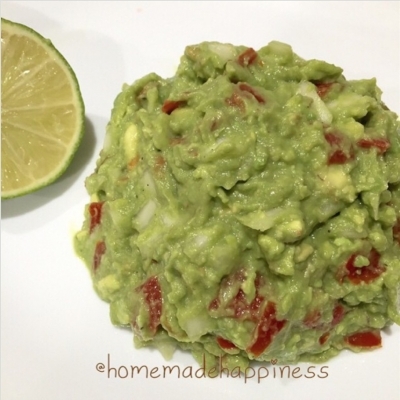 Mash together avocados, lime juice, and salt. 2. Stir in tomatoes and onion.